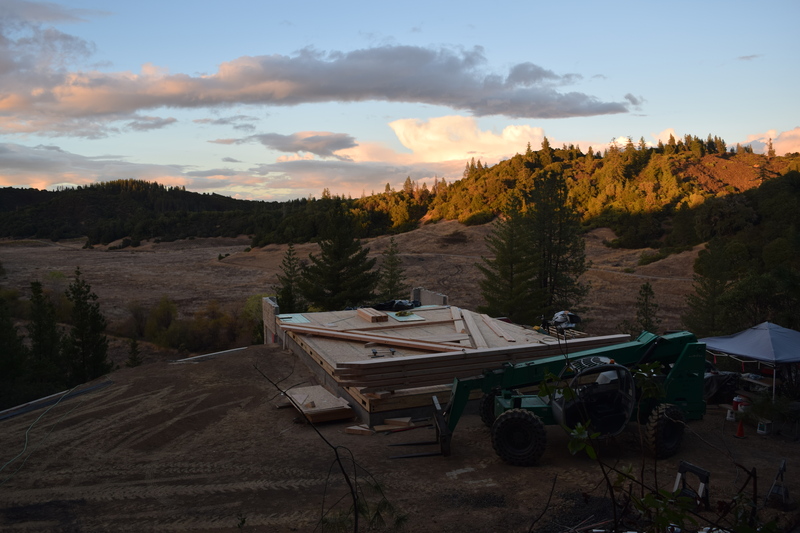 It’s been awhile since I posted photographs of what’s happening up at the main house building site. 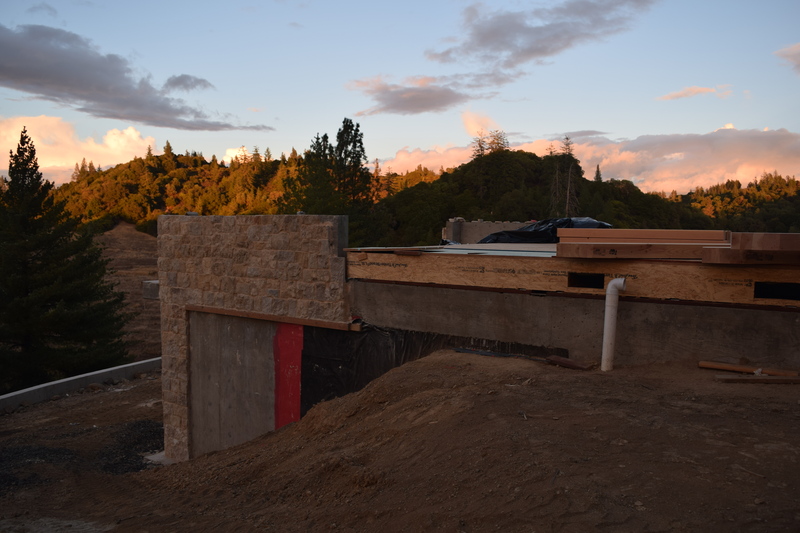 Just below where the A-frame will sit, we had a concrete bunker put in. 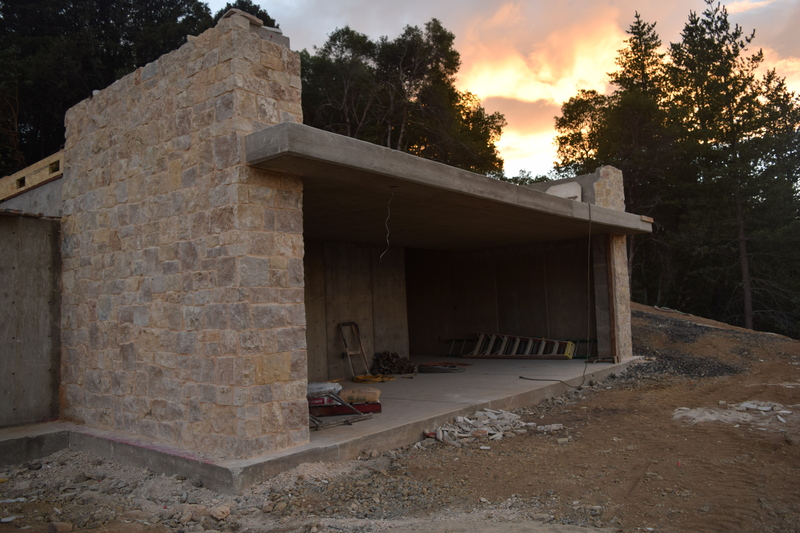 There will be all glass in the front of the bunker looking out to the valley below with a patio above. We’ve talked about the bunker being a space where we could show movies or I could do yoga. Perhaps a pool table, who knows? 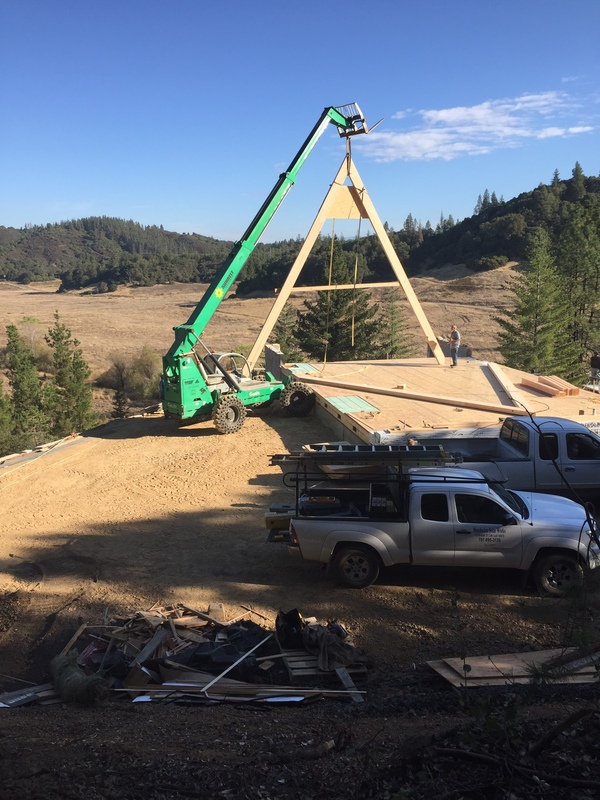 The two Steves who are working on our house attempted to have the A-frame beams lifted last week with the telehandler, or as we call it “the Green Machine,” but the tele handler wasn’t able to position the beams far enough over on the foundation. 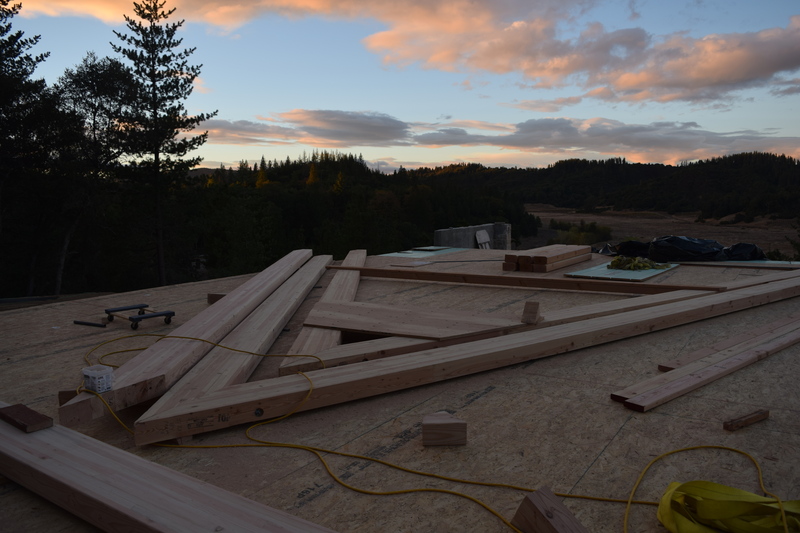 So the Steves are building all the beams, and then we’ll have a crane come to lift them. The beams are about 30 feet long and weigh about 600 pounds to give you an idea of their size. Categories: 31 Days 2015, House Building | Permalink. Wow! I love the stone you are using. This is going to ba a beautiful home. How many acres do you have? Can’t wait to see this beautiful property.